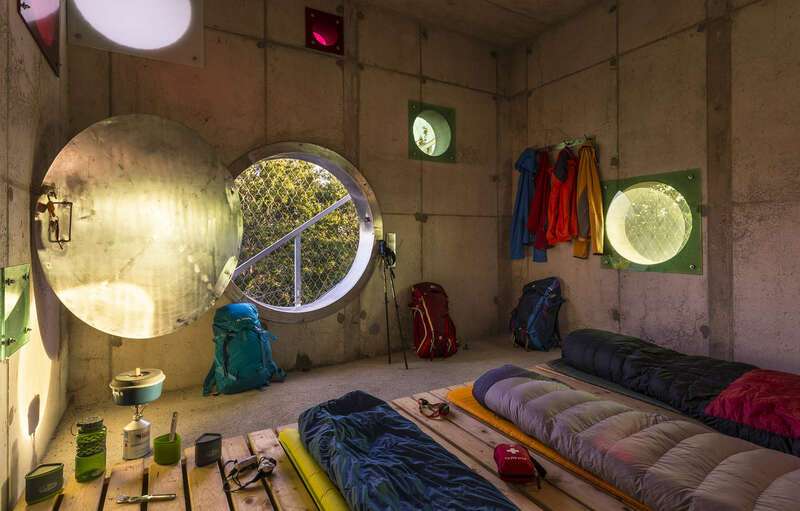 This striking renovation project, situated on one of the highest peaks of the Matra mountains gives hikers amazing views and a unique resting spot during long hikes across Hungary’s 1100 kilometer “Blue” tourist route. 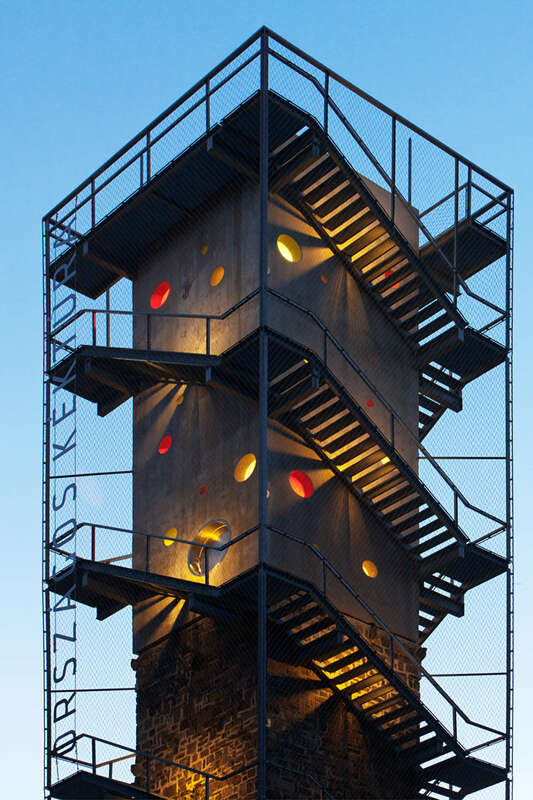 Using steel, concrete and colored windows, NARTARCHITECTS created a contemporary update to an existing watch tower. 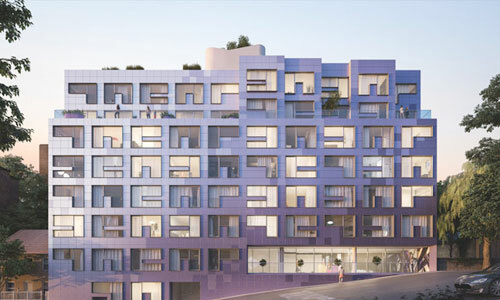 A steel stair system \winds its way up the tower. 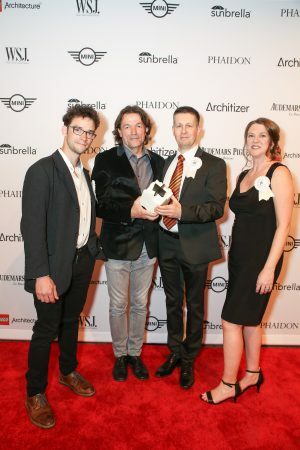 Congratulations to the entire NARTARCHITECTS team!